Max had been out of town for work for a while, and without the obligation to cook for him, I kept finding myself eating ice cream for dinner... or polishing off a whole loaf of French bread by myself (please tell me someone else has done this while home alone??). 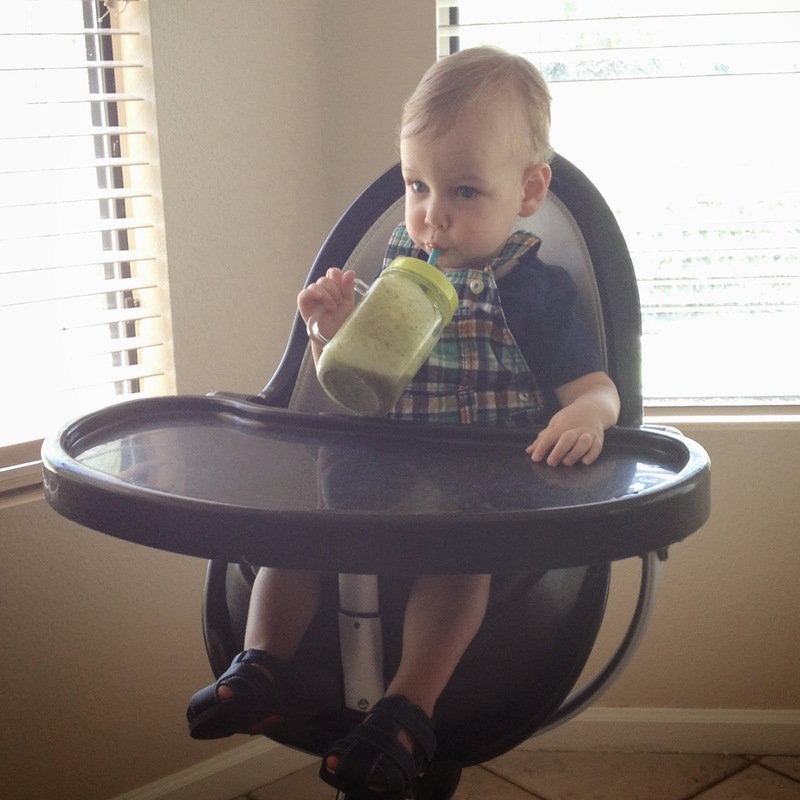 I would prepare lots of fruits and veggies for all of Parker’s meals, but by the time I fed him and cleaned up, I just wanted to inhale whatever was easy and in sight. SO, I challenged myself to clean eating. No processed foods, no wheat, no dairy. Basically all of my favorites would be off limits in hopes I would make better choices and eat healthy. I was eating semi-vegan and gluten free, and quickly learned I had to be very creative to get filling (and fulfilling) meals. 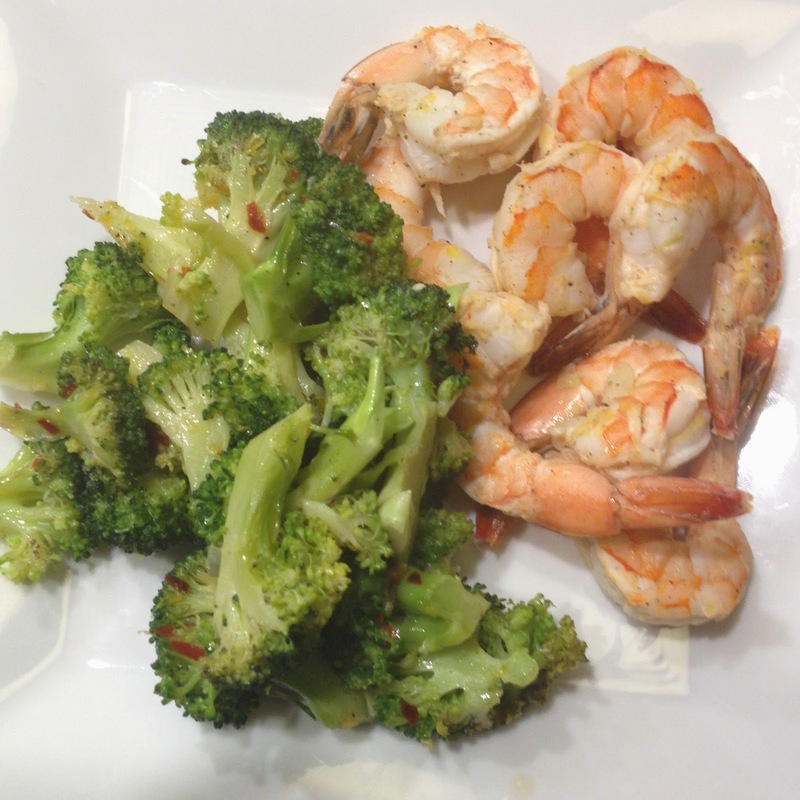 One of my first attempts was this Roasted Shrimp & Broccoli from Cooking Light. I added crushed garlic to the shrimp, which turned out soooo delicious. And super super easy. While the meal fell under "clean eating" I felt that it was missing a nice pasta or garlic bread. Sigh. One of my favorite clean eating meals was making quinoa bowls. I cooked up a bunch of quinoa and kept it in the fridge, and added random veggies to each one. 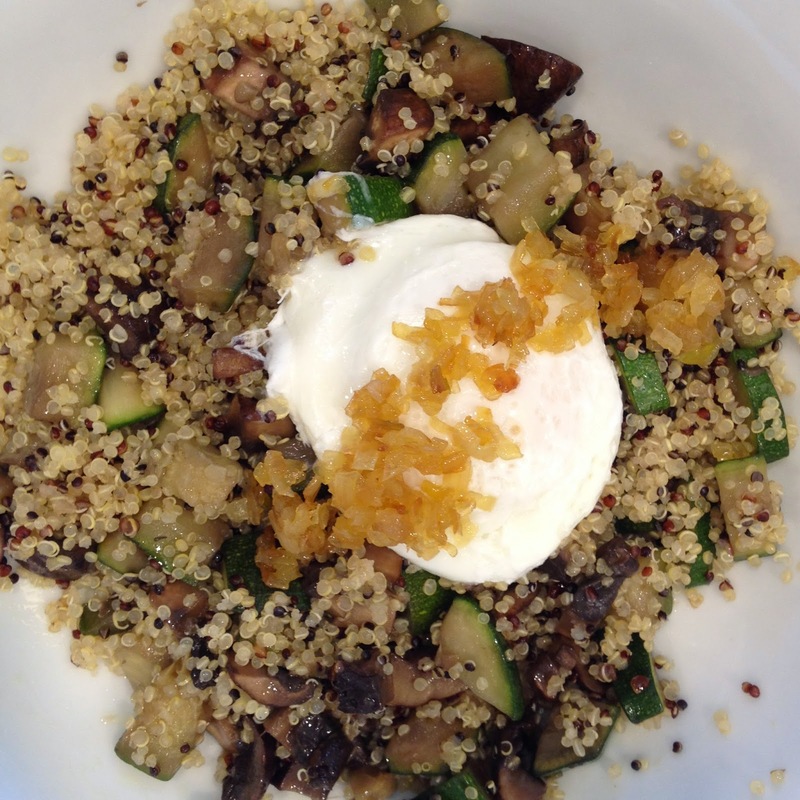 This one has mushrooms and zucchini, plus a poached egg on top. Yum! Once it's broken the poached egg gives the whole bowl awesome yolky creaminess! And what's on top of the egg you ask? Oh, it's shallot gold! (aka caramelized shallot.) I saw Carmeron Diaz talking about it on The Tonight Show months ago and just decided to try making it! I made a batch and kept it in a jar in the refrigerator to sprinkle on random dishes (much needed when there is no dairy on the plate!). 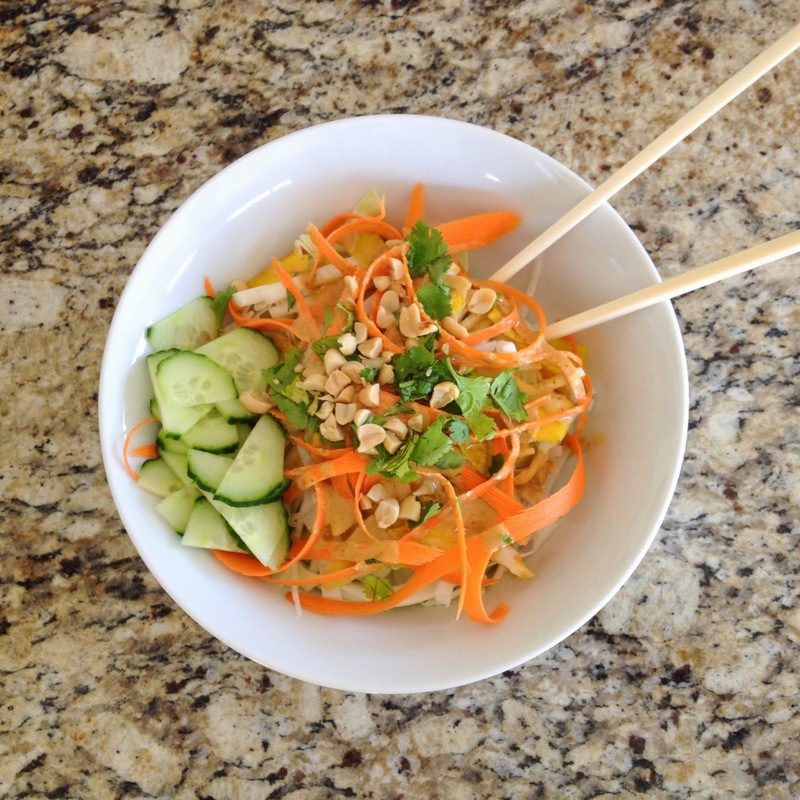 My very favorite dish, however, was this Tangled Thai Salad. Uh-Mazing. As in, I completely forgot it was vegan and gluten free. 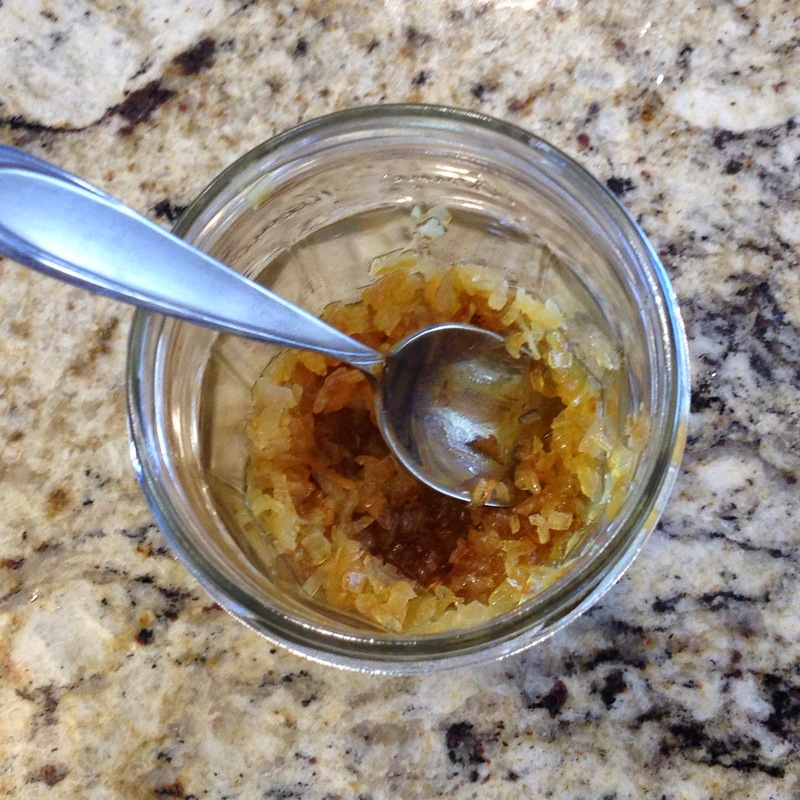 The dressing is the most important part of the recipe. It was a pain to make (and to track down all the ingredients) but SO worth it! I made a double batch since I was doing all the prep work anyway, and stored it in the fridge. 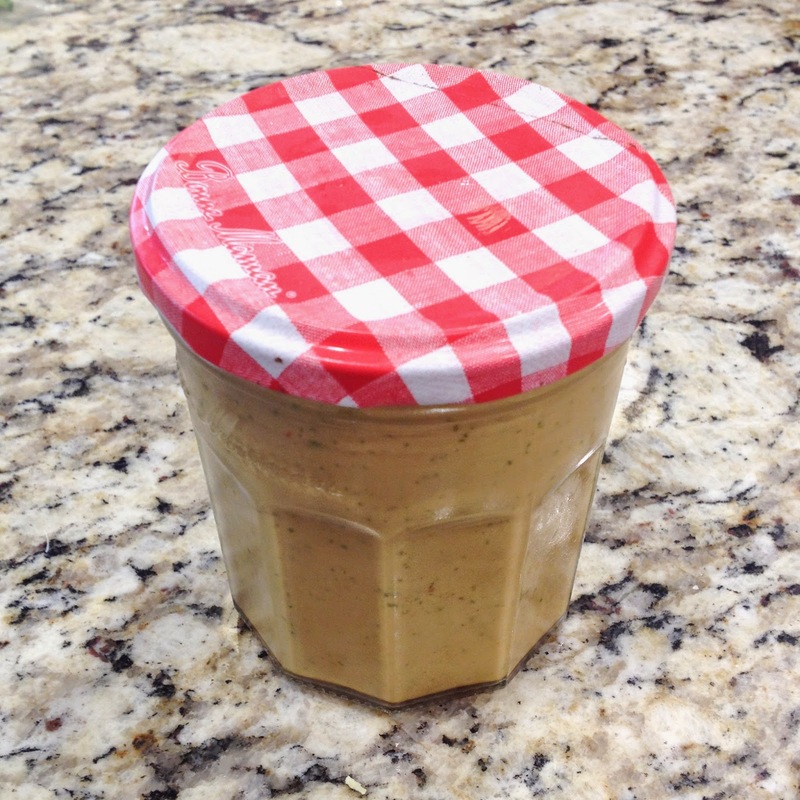 I would seriously eat our couch cushions if I could dip it in this dressing. 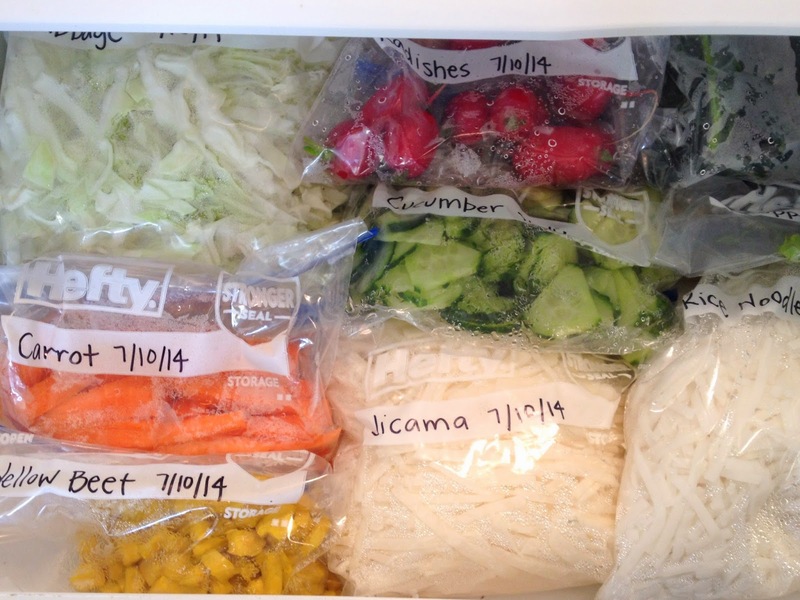 I also kept all the veggies (and rice noodles) prepped and ready for easy salad making. 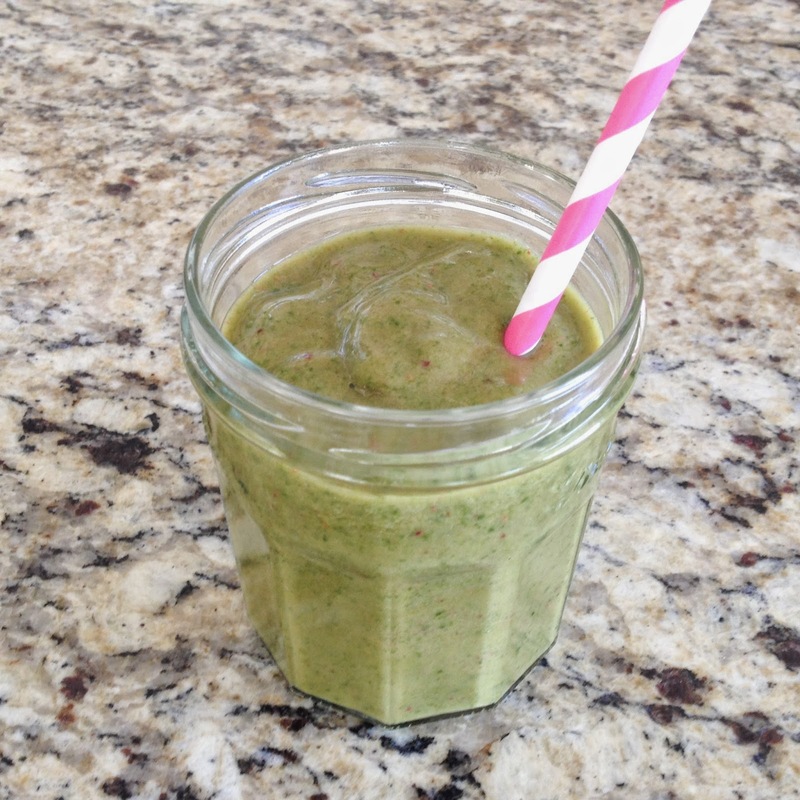 I made "green smoothies" with kale and spinach (plus fruit and juice). They were quite tasty! I didn't even notice the greens! 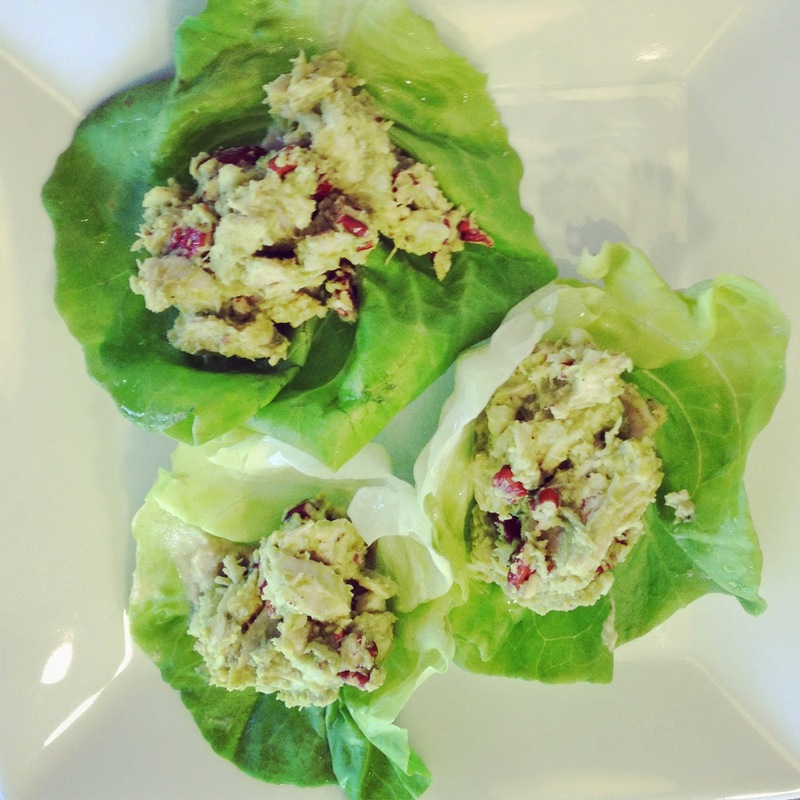 I got super creative one day and whipped up these Chicken Lettuce wraps. To make the chicken salad, I made a creamy mixture of hummus and avocado, then added jicama and pecans since I already had them prepped and on hand. They turned out awesome! 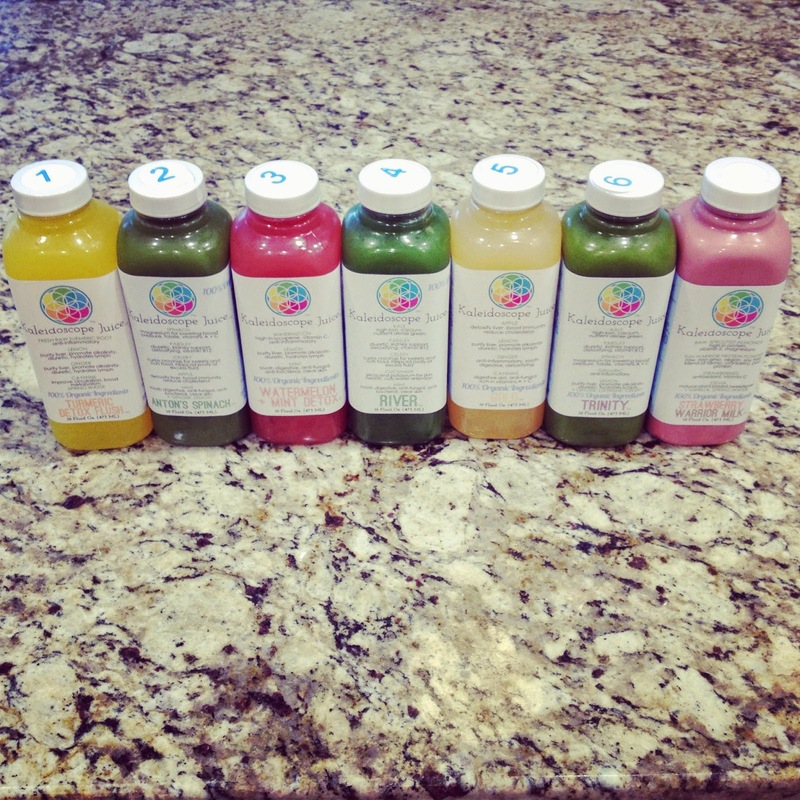 After four days of "clean eating" I challenged myself to a juice cleanse! Because, why not? Max would still be out of town so I wouldn't have him teasing me about my hippie tendencies (and I wouldn't be cooking for him anyway, le sad). But really, having your significant other gone is the perfect time to try something like this. After reading up on a number of different juice cleanse options in the area, I decided on Kaleidoscope Juice for my cleanse. I chose them for several reasons. I love that they are locally founded and completely local with just a few locations around the Phoenix area, that they grow fruits and veggies they use in the juices, that they pair with other gardens to bring leftover juice pulp to make fertilizer, and that everything is 100% organic. The fact that their North Scottsdale location is just ten minutes away from our house didn't hurt either. I also loved this little gem from their website: Green juices are the most efficient means for raising our vibration with the effects being virtually immediate. Totally my language (Max, you can stop laughing now). Stay tuned for "A Day in the Life: Juice Cleanse Edition"!